Animal Crossing is one of Nintendo’s tentpole franchises today, but it all started with the original Animal Crossing on Nintendo 64. The game never ended up being released outside Japan, but it seems like at least an English localization was planned at some point. John Ricciardi of localization studio 8-4 shared the first ever English press material for Animal Crossing today, which you can see above. 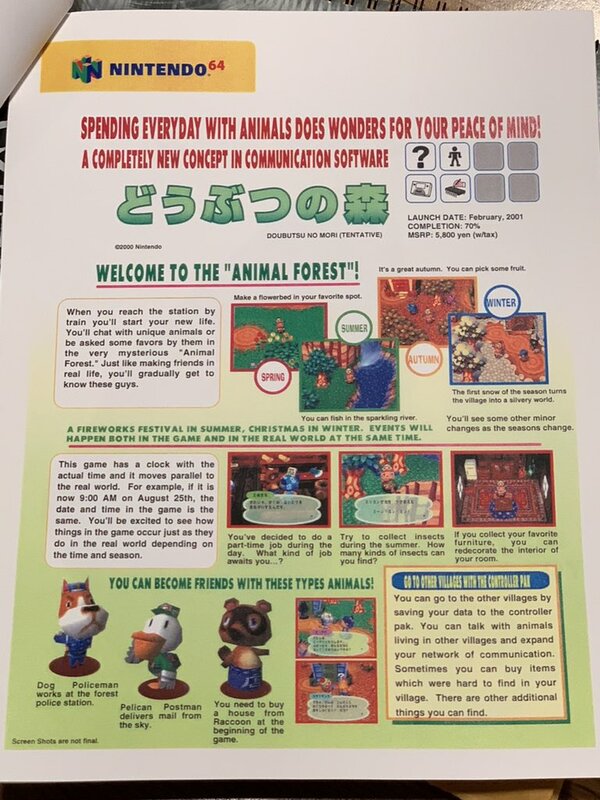 As you can see, not much work had been done on the localization front at that point – the game’s title was “Animal Forest”, a literal translation of the franchise’s Japanese name “doubutsu no mori”, and the characters are simply called “Dog Policeman”, “Pelican Postman” and “Raccoon” instead of Copper, Pete and Tom Nook.